Unit in fair condition, runs and operates as it should. 48×14 3 deck screen. New 25 HP 3 PH Motor in storage. also available 42 x 24 Feeder and 24 X 80 Conveyor not pictured. 2004 Caterpillar 311C Excavator with 1969 hours on the meter. Undercarriage at approximately 75%. Machine runs and operates as it should! Cat IT28F Wheel Loader. 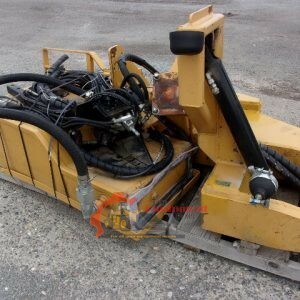 3rd Valve, Quick attachment on bucket, comes with bolt on hydraulic Bucket Clamp. Tires average 50% or better, 13844 hrs. Machine is in excellent running condition, and ready for work! 1999 Komatsu WA250 Wheel Loader with 11800 hours on the meter, 6 Cylinder Cummins Diesel Engine rated at 130 HP, 4 Wheel Drive, and an JRB Quick Attach bucket. No known issues. Great running machine that is ready to be put to work. 1998 Samsung SL150-2. Engine is a B5-9C Cummins with 174 hp. Trans rebuilt @ 7000 hrs. 4+ yard bucket. Weighs 31280 lbs. Tire Size 20.5X25. Hour Meter Reads 8008 hrs. One owner machine. Located near Tacoma, WA. 2005 Caterpillar D5NXL Dozer with 4613 on the meter. New undercarriage, less 500 hours. This unit runs well and is ready for work. 2009 Hitachi 160 LC Excavator. 8532 Hours, UC 50-60%. This Excavator was fleet owned and maintained very well! Very nice Truck with just over 40k miles on it. 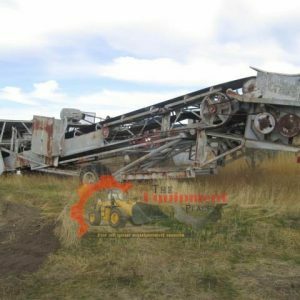 Has a Cat 3116 motor, 15 speed Trans, Terex TC-4792 Crane, new wire rope. Boom reach is 92′ plus a 28′ Jib, and lifting capacity is 23 ton. It does have the LMI system. Steer tires are new, and rears are 70%. Annual is good until July of this year. This truck is ready to go to work! Cat 936F Wheel Loader, 3 yard bucket, Balderson quick connect, 3rd valve, tires about 70%. Has only 6989 hrs. Also have Lumber, and Log Forks that can be purchased with machine. In great shape and ready for work!